The wind whipped through me and wailed in my ear, heralding the oncoming winter. As I walked through the city, slightly cowed by the wind I noticed an odd sight. Lots of young people, most likely third-level students, were walking around in t-shirts, shorts and flip flops, seemingly oblivious to the bitter cold. I walked past them baffled and slightly bemused and wondered why on earth they would punish their bodies this way? 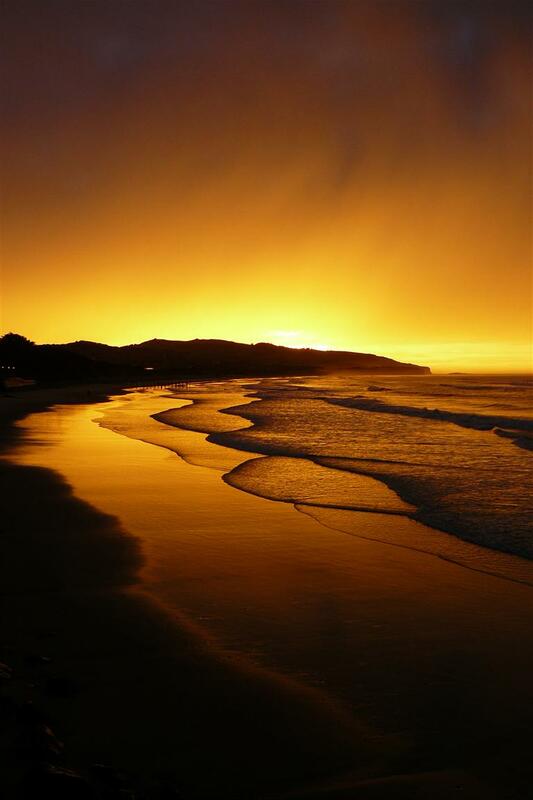 I moved to New Zealand in 2005 and settled in to life in a picturesque university city called Dunedin on the lower end of the South Island. I chose this as my home as I was easily able to pick up work in my field, as a zoological researcher and later as a wildlife guide. The fact that it was surrounded by golden sandy beaches, prolific wildlife and a vibrant student atmosphere didn’t hurt either. 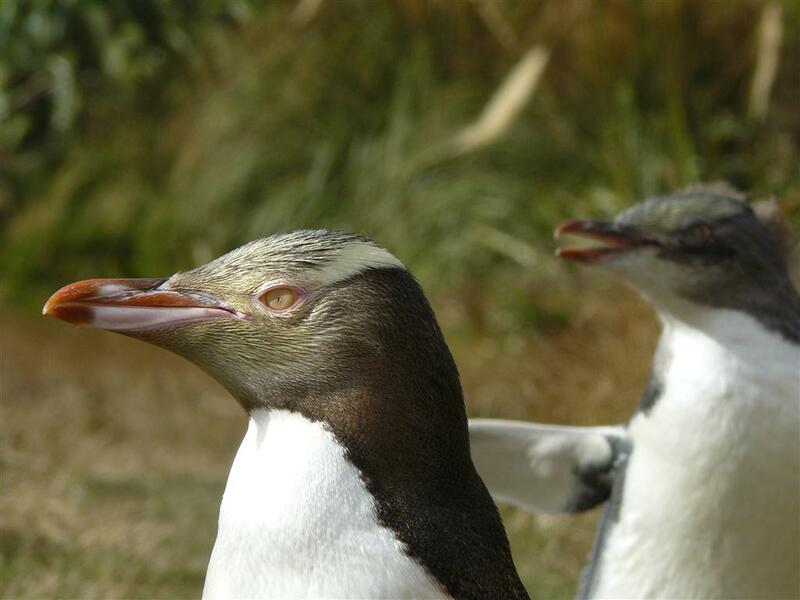 Dunedin prides itself on its excellent university and the fact that it is the sea bird capital of the world. 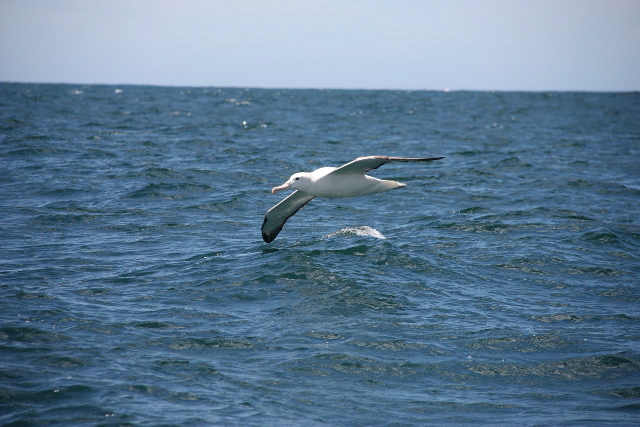 You can drive 40 minutes from the city and see penguins and albatrosses at the end of the peninsula. When it comes to our feathered friends, there is something to be said for the birds in Dunedin. These albatrosses are huge, 10 feet from wing tip to tip (that is almost two people lying end to end). If you drive up to their nesting grounds at Taiaroa Head on a windy evening, you can watch these enormous avians eclipse the sun as they wheel around in glorious synchronicity. And then there are the yellow eyed penguins. Not only are they extremely anti-social (they have only eyes for their mate), they are forest dwelling and also one of the world’s rarest penguins. New Zealand has lost so much forest in recent times, which has been a predicament for these birds as they need forest shelter for protection and nesting habitat. The wildlife company I guided for had come to a financial agreement with a local farmer to long term lease a part of the farm. They had spent the past 20 years replanting habitat and trapping and shooting predators that would kill this rare bird. 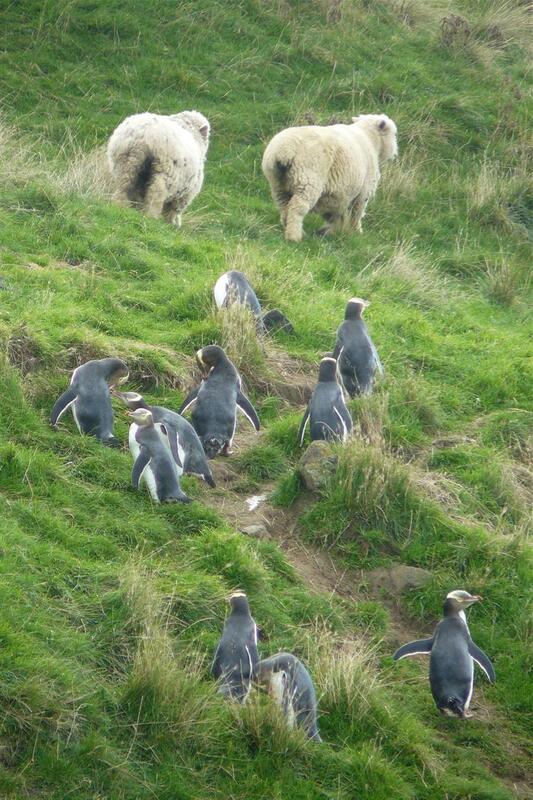 These penguins live in the same paddocks as the sheep. 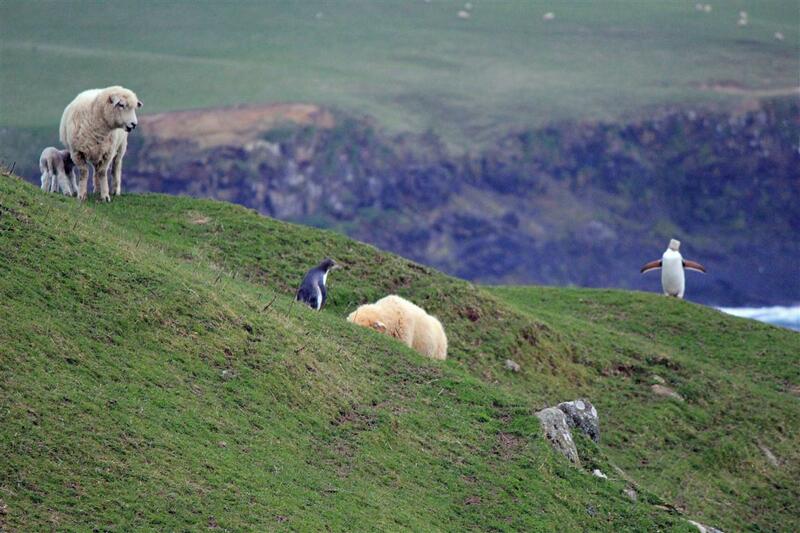 So when the penguins leave the water in the evening and are walking up the hill back to their nests, they routinely pass their sheep neighbours en route. It never ceases to make me laugh seeing an awkward tuxedo clad penguin jumping up a hill while a sheep watches nervously for the stab of a sharp beak. If you want to get that perfect Easter shot forget about bunnies and chicks, penguins and sheep is where it’s at. The university students provided a whole other form of wildlife and regular entertainment for all us blow ins. One of the great misconceptions is that New Zealand has decent weather and summer clothes are the norm. North of Auckland this is true, but Dunedin has a very cold climate at times due to the Sub Antarctic influence and the bracing winds that scream through the city intermittently. More confusing is when you see students walking around in this bone chilling weather in their summer attire. The reason behind this supposedly crazy behaviour has a touch of (possibly misguided) pragmatism to it. Dunedin was settled by predominantly puritanical, tough Scots in the mid 1800s. They burnt and felled large tracts of forest on their arrival, converting much of it into pasture land. They also brought over their own cattle, pets and imported possums from Australia to start a fur trade. They built basic houses from the wood they felled. Despite the fact that over 100 years have passed, many of these houses have not been improved upon. Most student dwellings have no insulation, double glazing or central heating. The houses get so cold in winter that it is not unusual to wake with a layer of ice on the inner window frame and an ice cream headache to boot. In order to cope with the harsh living conditions, the students try to ”harden up” their bodies to deal with their digs. A long established tradition and rite of passage for the first year or “Fresher” students involves couch burning. They raid skips for abandoned couches or buy them cheaply from charity shops. The fire brigade is kept very well occupied the first week of university when the students light these couches en masse in their front gardens. It is these things, and the many more weird, wild and wonderful aspects to living in New Zealand which have made me fall so hopelessly in love with the country.